A government report sent to the on-going third session of the 14th National Assembly has raised concern about rampant nepotism at state agencies with 58 cases in nine provinces and cities including Ha Giang, Nghe An, Thua Thien - Hue, Dak Lak, Binh Dinh, Can Tho, Ba Ria - Vung Tau, Yen Bai, and Danang. Deputy Le Thanh Van speaks with DTinews reporter about the rampant nepotism at state agencies on May 23. Speaking about the report, deputy Le Thanh Van from Ca Mau Province said that the situation reminded him of an old Vietnamese saying, “First relations, second bribes, third relationship, and fourth, follower." "'Capacity used to rank fourth in this list, but now it has been removed and replaced by a follower. Van added. Although the 58 people securing positions at state agencies thanks to their relations is minor compared to thousands of civil servants, the problem seems serious, considering it was mentioned for the first time in a government report. And the public know well that these are only the cases that have been verified by the Ministry of Home Affairs. There are other similar cases featured recently in local newspapers in Hai Duong, Hai Phong, or Dong Thap that are under investigation. The issue has also become a hot topic in the local media and social networks after some large cases were uncovered by the press. Many of the public said that the real number is much bigger. Dan Tri/DTiNews has just reported a case in the southern province of Dong Thap where the director of Thanh Binh District General Hospital, Pham Nong, suddenly promoted his son, Phạm Trung Hieu to vice head of the Diagnostic imaging/X-ray Department where the young new graduate has only been working for six months, while the Health Ministry's regulations define that Hieu needs at least two years to get the promotion. On May 24, the chairman of the provincial people's committee asked for an investigation into the strange appointment. 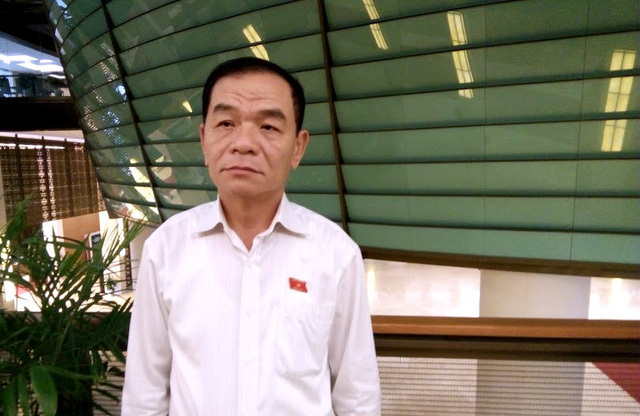 In March, director of Hai Duong Provincial Department of Home Affairs, Pham Van To, caused public controversy after appointing his son, Pham Van Khang, to deputy head of the local Department of Jobs and Labour Safety. When the Ministry of Home Affairs launched an investigation, Khang submitted his resignation. There have been stories about state officers who help develop the careers of their fathers, but with those who get the posts just because of being a family member, it should be difficult. And deputy Van said that these appointments only bring benefits to themselves and cause losses to the state.